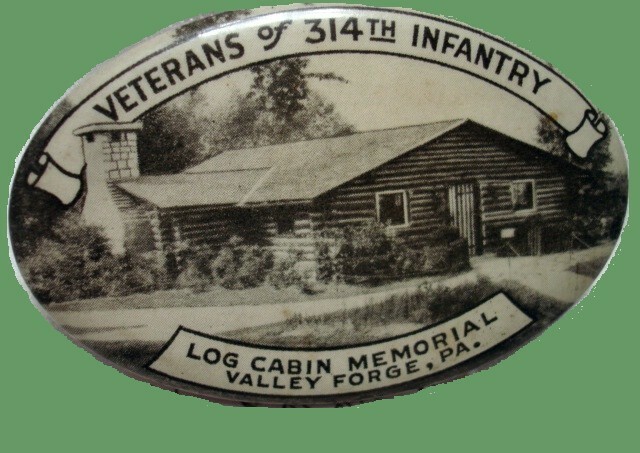 BULLET PENCILS OF THE 314th INFANTRY A.E.F. 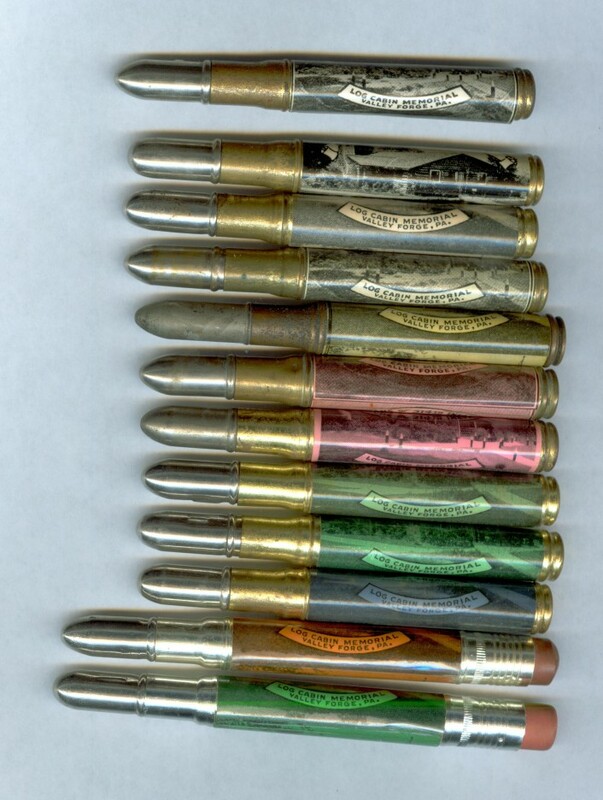 These bullet-shaped pencils were sold as souvenirs and given out as a "Thank-You" for donations to the 314th. 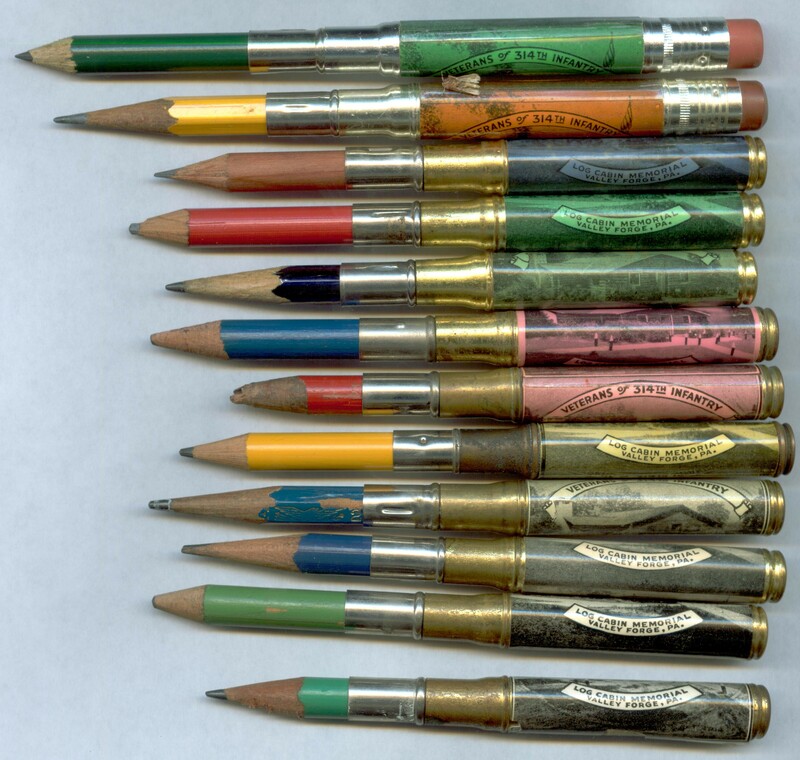 in the end of used rifle cartriges so the tips would not break off while the pencil was stuck in their packs." The oldest pencil also does not have the smaller center circle on the bottom, indicating where the primer would be. 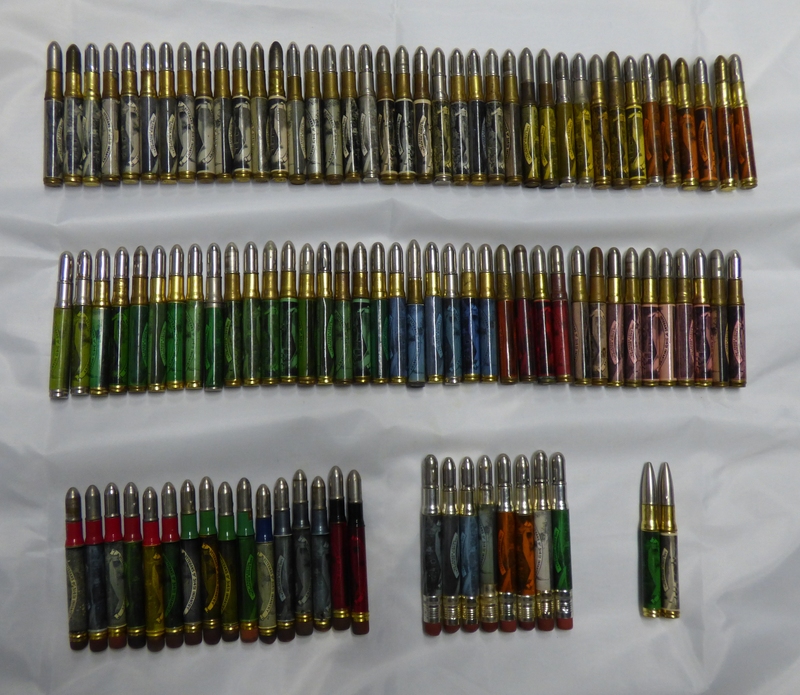 A few have erasers, but note that these are the ones with a steel rather than brass neck. 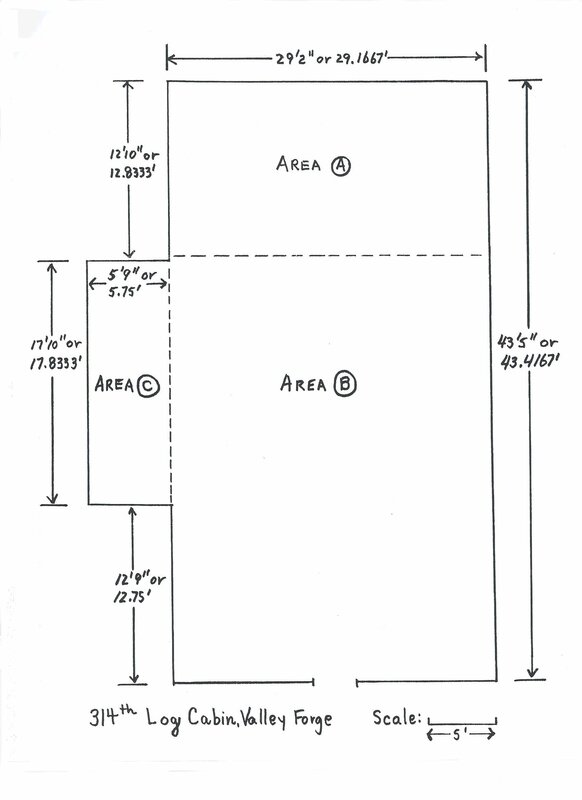 I believe the original pencils were round, the replacement pencils have the more modern six-sided cross-section. 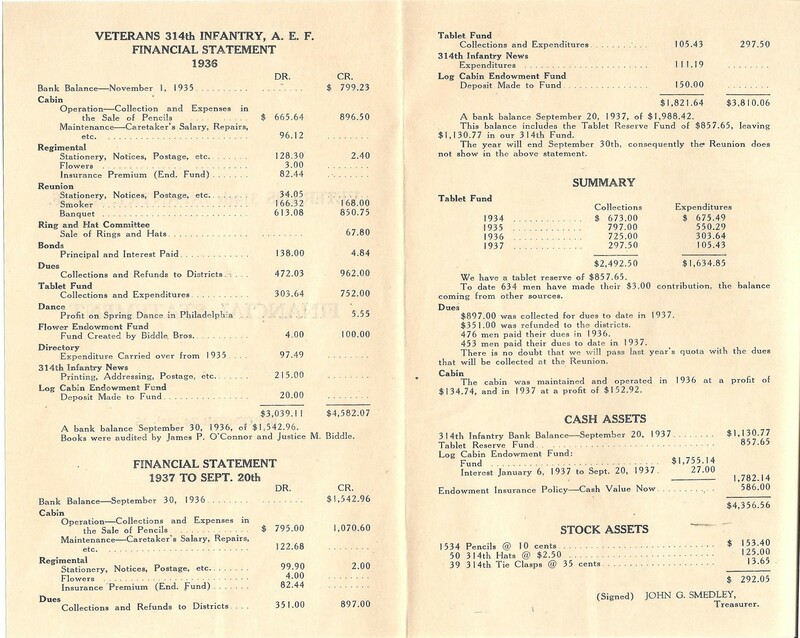 Even earlier on the 1936 financial statement we see mention of 1,534 penciles in inventory - purchased at a cost of 10 cents each!